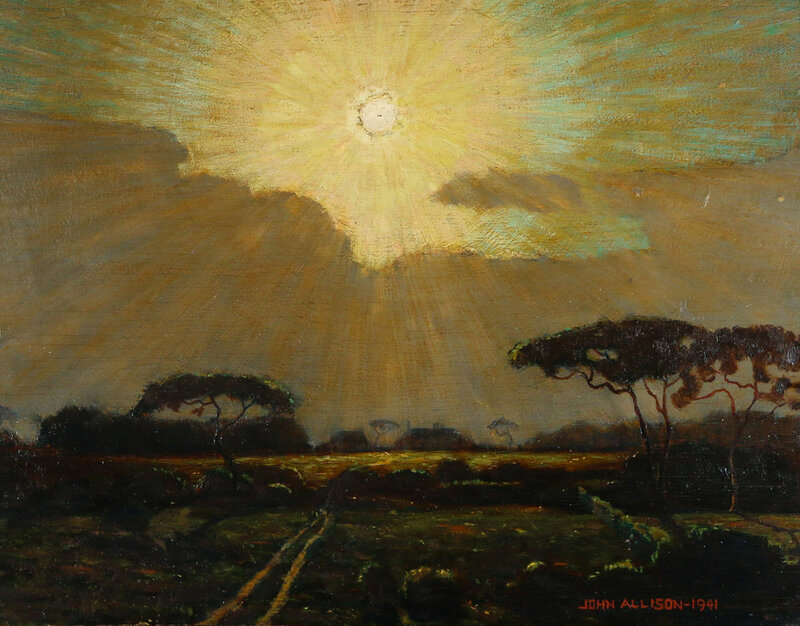 The multi-talented John Allison was born in 1893 on the Palisades in Englewood, New Jersey. Known today primarily for his work as a songwriter, arranger, and historian of American folk music, his first ambitions were in the graphic arts. His early paintings are marked by the influence of his friend and teacher Van Perrine (1869-1955), as well as an affinity with the work of Albert Pinkham Ryder. 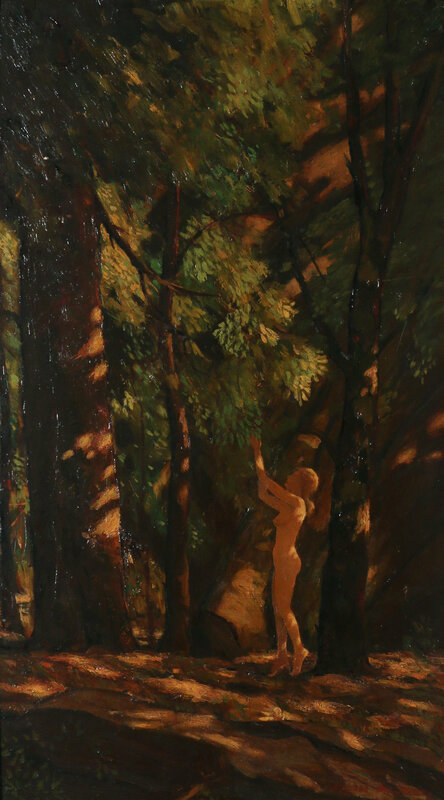 In 1931, 1932, and 1933, Allison had one-man shows at the prestigious Ferargil and Montross galleries in New York, and his paintings were included in group exhibitions throughout the country, notably at the National Academy (Annual Exhibit, 1937) and the Philadelphia Academy of Fine Arts. Although Allison painted throughout his entire career, his success in the music industry demanded the bulk of his attention for several decades. 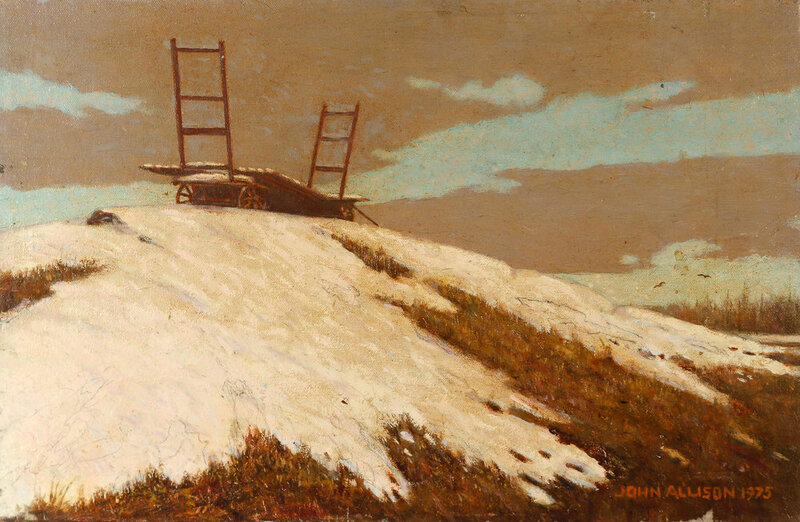 Later in life, after settling in Pound Ridge, New York, it appears that he returned to the artist’s easel, committing more and more time to painting the landscape around him in his unique American realist style. His interest in early American popular music and folklore clearly crossed over into his painting, which gives off a distinctly American flavor with its fusion of Tonalist, Realist, and allegorical tendencies inherited from the work of Ryder. We are honored to be the first auction house to offer works by this extraordinary and as-of-yet undiscovered artist. 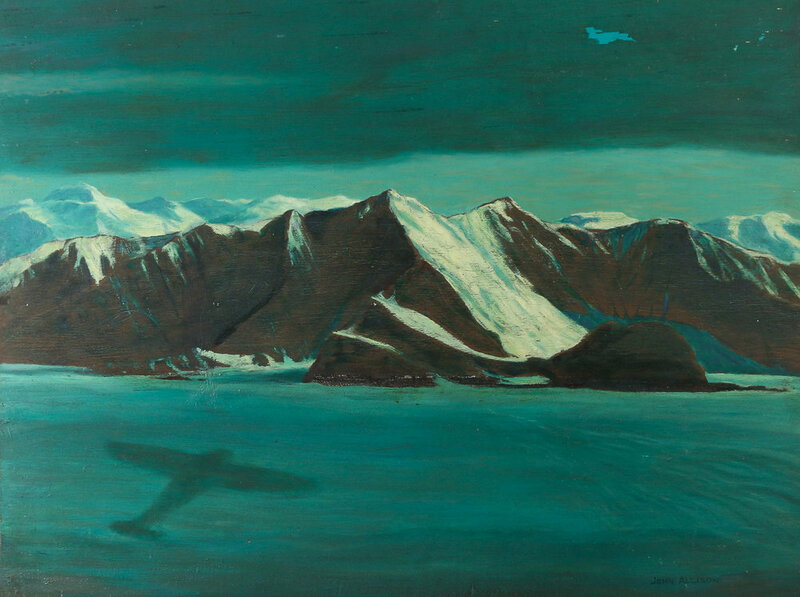 Over 30 paintings will be offered that span the artist’s entire career, from the early 1920s all the way into the 1970s.